Rally racing is a team effort, with drivers and co-drivers working together to navigate intricate racing courses. Codemaster's DiRT Rally is getting an exclusive co-op mode on PS4 thanks to the PlayStation VR. The way it works is simple - one player drives with the VR headset on, a second player takes on the co-driver role. They'll watch the action on the TV, because Player 1 has a different view in the headset, and use a controller to pass along instructions to the driver about upcoming turns. For the time being, this will only be available on the PS4 version, according to the official Dirt Twitter account. The PC version of DiRT Rally already supports VR, but not co-op. 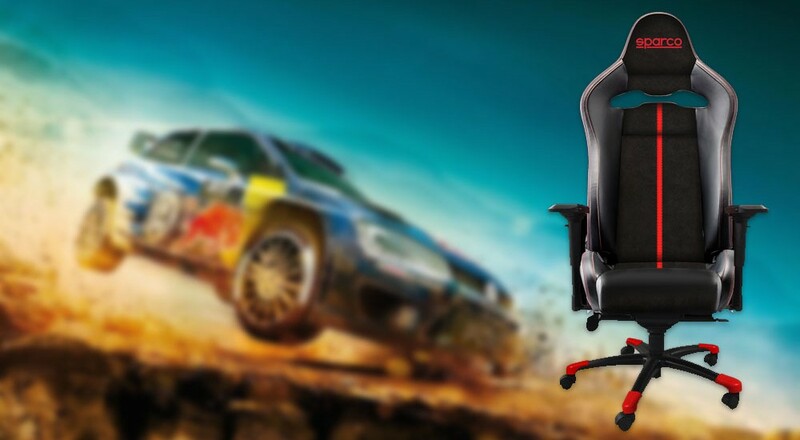 Alongside of this addition comes news that SPARCO, an Italian based rally racing gear company, is creating a full line of gaming chairs inspired by their racing counter-parts. Some of these chairs will be co-branded with DiRT Rally attire. The lineup is said to target the casual gamer to the "e-sports athlete" with a full line-up of racing inspired chairs. Initially there are going to be 4 models. GRIP: entry-level model, allows the user to adjust the seating position in height and inclination, while the back offers the ability to recline and micrometer lumbar adjustment. The product is saddled with the same synthetic leather used for after-market automotive products ensuring wear resistance, washability with a damp cloth and durability of the surface texture. STINT: is dedicated to a discerning gamer, who in addition to the functional aspects of handling, looks at the performance. The STINT chair is equipped with the innovative COLDFLOW system, developed in SPARCO®: this system sees, both in the cushion and in the central part of the backrest, a perforated fabric and a cushion composed of epoxy nature wires. The COLDFLOW system also sees improving blood flow compared with traditional upholstery. COMP: is the "luxury" model of SPARCO® range. This product was conceived in two variants C and V. The first, top of the range between the gaming seats, is equipped with a backrest consisting of the same composite material of carbon fiber used on Supercar staged by SPARCO®; the version V, instead, is equipped with a backrest in painted fiberglass matt black. Both chairs are derived in design and comfort from the SPX SPARCO® seat. The fourth is something called Evolve which looks more akin to a virtual drivers cockpit, inspired by SPARCO studies on Rally and GT cars. 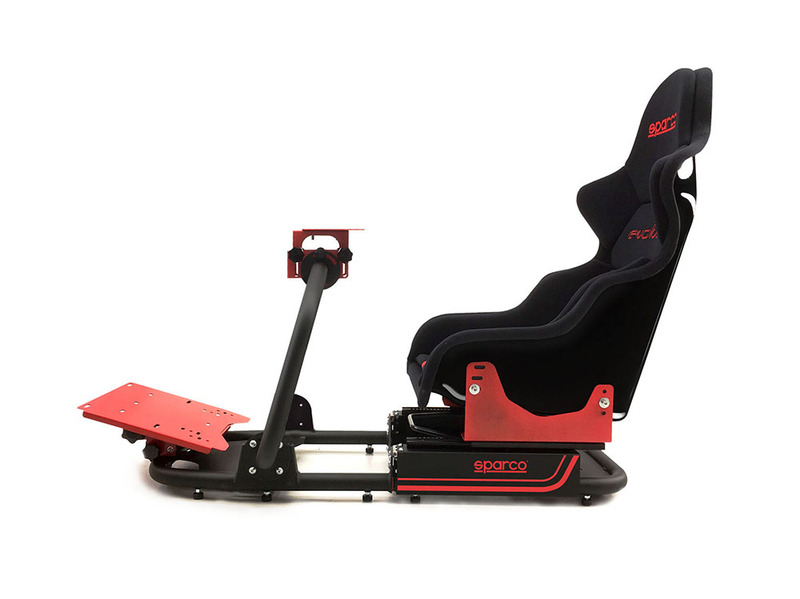 Pricing of the SPARCO chairs have not been announced, but should be available sometime in February for all your gaming and racing simulation needs. Page created in 1.4300 seconds.